Notre Dame is 9-0 and three wins away from making their first appearance in the College Football Playoffs. All that stands between them and perfection is Florida State, Syracuse, and USC. Florida State comes to South Bend on Saturday, with a 4-5 record. 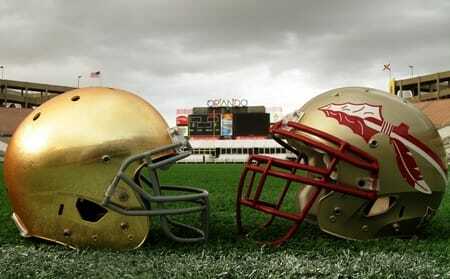 Florida State leads the all-time series 6-2 and have won three straight games against the Irish (2014, 2011, 2003). Notre Dame’s last win was 2002 and their last win in South Bend was 1993.